Nutrition can help to aid mobility, but if you can’t get certain nutrients from your food and drink, supplements can help with this. Certain supplements in particular can increase your mobility. Cod Liver oil can help your joints to stay supple and healthy. This is particularly beneficial for arthritis sufferers, but it can also increase mobility in general terms. Healthy joints are a key element of staying mobile as you get older. Some varieties of Cod Liver oil supplements also contain Omega-3 and vitamins A, D and E, which help to keep your body in tip-top condition. This can help to ward off infections and viruses, as well as keeping your skin and hair healthy. These varieties are the best option, as they mean that you don’t have to take lots of different supplements on top of the Cod Liver oil to get the right vitamins. Other fish oils and glucosamine sulphate are also known to aid mobility and promote flexible joints. Evening Primrose Oil contains Gamma Linolenic Acid (GLA). This is a fatty acid that your body can’t produce naturally. It helps to keep your skin and heart healthy, as well as regulating your metabolism. 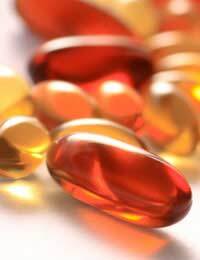 Some varieties of the supplement also contain Vitamin E, which encourages a healthy heart and skin too. GLA can also have an effect on the suppleness of your joints. Although it doesn’t specifically have a big impact on mobility, the fact that it contains some GLA means that Evening Primrose Oil can be an indirect mobility aid. It helps to regulate your hormones, which can benefit women, in particular. Oestrogen production and regulation is important with regards to conditions like osteoporosis, which can have a negative effect on your mobility level. Experts suggest that women with less oestrogen in their bodies are more likely to develop osteoporosis as they get older. Taking Evening Primrose Oil supplements won’t encourage your body to produce oestrogen once you’ve gone through the menopause, but it’s a good way to boost your overall health. Your skin in particular should benefit from these supplements. Calcium is needed to promote strong and healthy bones. For women, more calcium is necessary after the menopause as bones become weaker. Because of this, you may need to start taking calcium supplements to boost your calcium levels, as you won’t necessarily be getting enough from your diet. Vitamin D is another important nutrient, as it helps calcium to be absorbed into the body more easily. Vitamin D is found in direct sunlight, but as this isn’t always guaranteed in the UK, supplements are often necessary. As with all supplements, you should always follow the guidelines for taking them - especially if you have a balanced diet that is rich in vitamins and nutrients - as having too much of a certain vitamin or nutrient in your body can be just as problematic as not having enough. Supplements can be a useful addition to the goodness that you get from your diet, but they shouldn’t be used as a substitute in most cases.